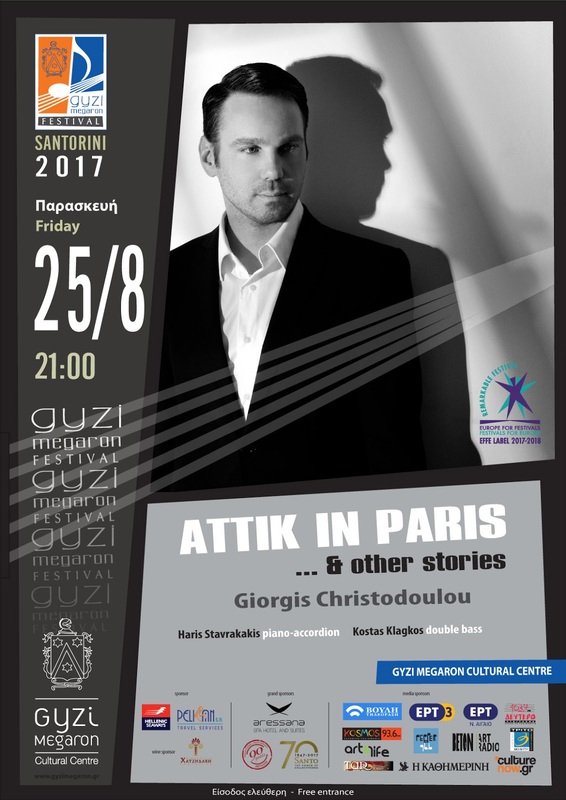 The show fascinated audience and critics and was presented at the Athens Festival 2016, was sold out and then travelled all over Greece, Barcelona, London and Alexandria, Egypt. The first part of the performance shows the unknown story of Attic’s life, when he decides to quit his studies in Sorbonne and study music at the Conservatory. In a few years he has become one of the most successful composers in Paris. In the second part, the most famous songs of the interwar period are reveled through their charming stories.